A S Catering Supplies Ltd manufacture and supply bespoke fridge door seals and gaskets suitable for most domestic and commercial refrigerators, freezers, walk-in coldrooms and coolers/chillers. 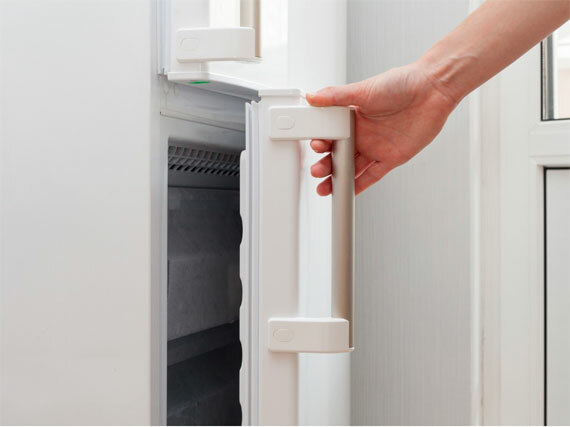 Damaged, perished or cracked refrigerator door seals significantly reduce the efficiency of refrigeration units, with the refrigerator having to work harder to maintain cold temperatures. We can provide replacement door seals for most refrigerators or freezers, either using OEM seals, OEM equivalent seals, or bespoke made-to-measure door seals. Take a look at our large stock of standard replacement seals, download our door seals capabilities datasheet, or read on to find out more about or custom seal manufacture capabilities. If the fridge door seal that you require is no longer available, or if you have a custom seal or gasket requirement, our design and manufacturing teams can produce a door seal solution that perfectly matches your requirements. We have a comprehensive range of refrigerator seal profile shapes, lengths and colours, allowing us to replicate virtually any standard OEM seal. Additionally, we can advise on effective sealing solutions for bespoke fridges, freezers and other refrigeration devices. Ordering from us is simple. If you're replacing an existing seal, you'll need to measure the outside edge of the seal while it is still fitted to the door (or the centreline of the fixing channel if it's a push-fit seal). Next, take a look at our range of available profiles (see the documents below) to identify the profile shape that you need. Call our office on 01425 632800 or email us with the details and we'll be happy to give you a quote for a made-to measure replacement seal. If you can't identify the profile you need you can send a sample to us and our team will identify it for you.